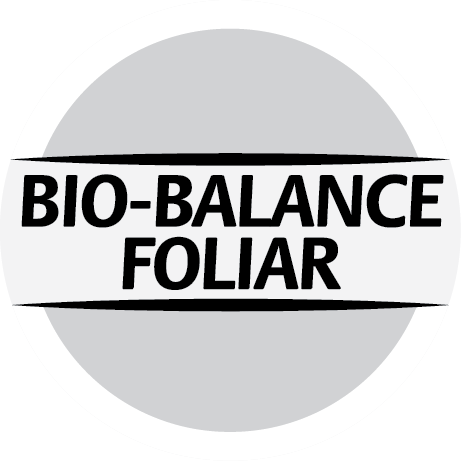 Bio-Balance Foliar is a soil/media drench and foliar treatment which contains mineral and nutrient ec/pH balancing properties for all media types. 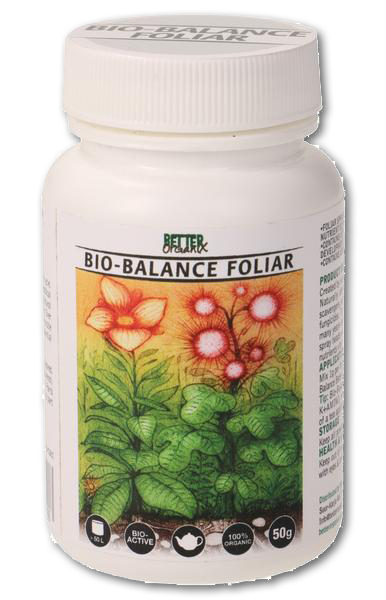 Bio-Balance Foliar is a dry powder containing a highly pure concentration of natural fulvic acid. Possibly the most important of the organic acids in natural humus. 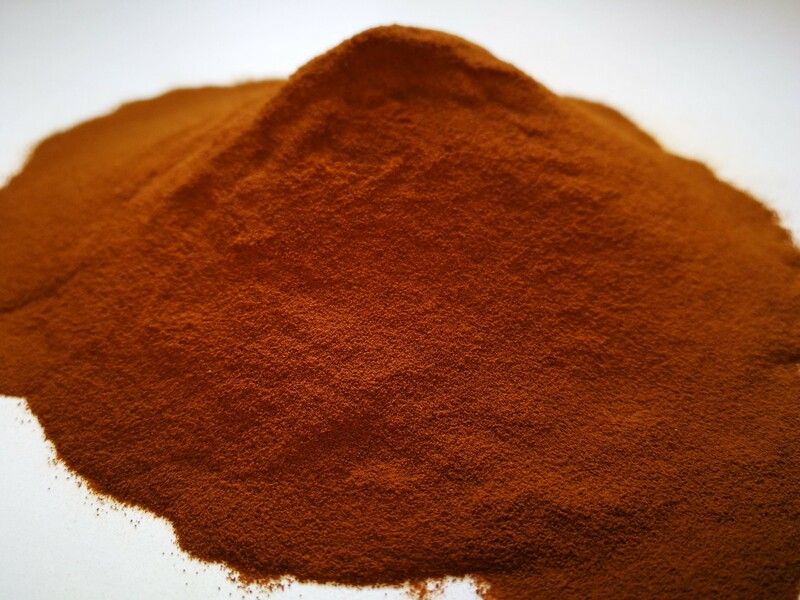 Fulvic acid stimulates a wide range of beneficial metabolic processes in both plants’ and soil microbiology. Contains essential biostimulants to promote microbial growth. Prevents plants from absorbing many toxins and protects against environmental stress such as drought & cold. Why should I use Bio-Balance Foliar? Bio Balance Foliar is an effective stimulant of fungi, a vital component of soil systems, especially for perennials and acid-loving plants. The natural high purity fulvic acid powder in Bio-Balance Foliar acts to improve the conditions of growing media, maintaining acid conditions for ericaceous plants and perennials. This improves the transport of nutrients by leaf or root through the chelation and the retention of both nutrients and moisture, which helps to regulate stomata cells so helping to prevent water loss in times of drought and high heat. Also improves growth conditions in low light and cool temperatures. When should I use Bio-Balance Foliar? Bio-Balance Foliar can be applied across the growing season to harvest, at least once every 28 days, it can be applied more frequently if so desired or in heavily managed systems. Bio-Balance Foliar can be used as a stand-alone product, or with any other nutrient, organic or chemical, as both a soil drench or as a foliar application. Outside, Bio-Balance Foliar can be a useful gardening tool to assist plant growth in cold, low light conditions or to limit stress caused by drought and high heat. It can also assist in the prevention and management of soil compaction. The organic acid in Bio-Balance Foliar contains a lower molecule size than Bio-Balance Media and works well in all spray and drip systems. Bio-Balance Foliar has a high percentage of Oxygen atoms which become available once added to media or plant canopies supporting both roots and microbes. Bio-Balance Foliar can be applied throughout the season or as required, as a plant tonic to help to scavenge free radical ions which are a root cause of soil compaction and rot stress in managed systems or nature. How do I use Bio-Balance Foliar? Bio-Balance Foliar is a powerful product. It should be pre-mixed and tested before adding to tanks and sprayer systems, standard for all inputs. When using it in a spray or dripper system, be sure to filter out any undissolved sediment to prevent nozzle blockages. Once fully dissolved, Bio-Balance Foliar can help reduce the calciferous build upon irrigation lines. We recommend frequent usage in such systems to ensure maximum efficiency. The rate of application is 1g per 4L of de-chlorinated water (1/5 tsp per 1.2gallons US). Bio-Balance Foliar can be mixed with all other Better Organix nutrients and bio-products as well as inorganic nutrients but should be tested as best practice. Solutions should be drenched through your chosen potting soils and/or coco/hydro mixes. Apply to an even coverage as a foliar or drench. Always pre mix Bio-Balance Foliar in warm water and remove sediment before adding to spray systems and drip lines. Bio-Balance Foliar gives awesome rates of growth if mixed in tanks with Bio-Veg and applied across the Vegetative Cycle of short day crops. It can also be added to all compost tea systems. What media types are suitable for Bio-Balance Foliar? Bio-Balance Foliar can be used in all media types though it is particularly suited to acidic media types. What is the pH range of Bi-Balance Foliar? Bio-Balance Foliar is the product of choice for acid media preferences.